Because of its antibacterial properties, mustard does not require refrigeration. It will not grow mold, mildew, or harmful bacteria. Unrefrigerated mustard will lose pungency more quickly, and should be stored in a tightly sealed, sterilized container in a cool, dark place. Mustard can last indefinitely, though it may dry out, lose flavor, or brown from oxidation. Mixing in a small amount of wine or vinegar will often revitalize dried out mustard. Some types of prepared mustard stored for a long time may separate, causing "mustard water", which can be corrected by stirring or shaking. If stored for a long time, unrefrigerated mustard can acquire a bitter taste. In a large skillet, heat oil over medium high heat. Add pork chops and cook until browned, 4 to 5 minutes per side. In a small bowl, combine the beef broth, parsley, mustard, paprika, onions, and season with salt and pepper. Pour the broth mixture over the pork chops. Return the mixture to boil. Reduce heat to medium and simmer for 30 minutes, stirring occasionally. Garnish with parsley, if desired. Enjoy! Serve with cooked rice or mashed potatoes. How did I not know that mustard didn't need to be refrigerated? 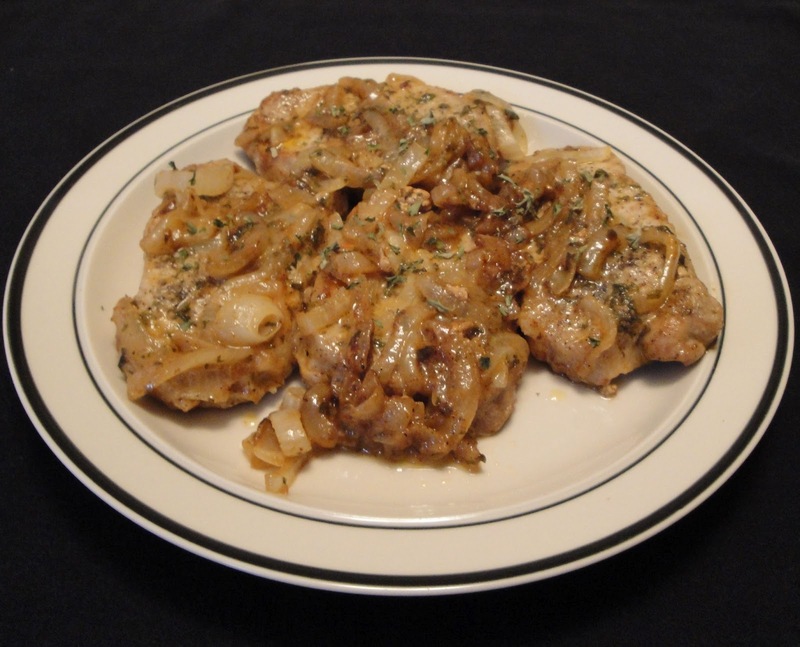 What lovely smothered pork chops! Love the tip on mustard. Love the chops too. Something I haven't made in a long time. Now I've got a craving! I'm curious, do you refrigerate your mustard? I refrigerate mustard because we like cold mustard. Mustard will lose flavor if not refrigerated, so I encourage refrigerating. However, it is not necessary to refrigerate. There are no ingredients in mustard that spoil. I didn't know mustard didn't need to be refrigerated! I learn something new every time I visit and I get a great recipe, to boot! I've nominated you and your blog for The Addictive Blog Award. I so appreciate all the hard work you put into Kitchen Chew on Facebook and the great recipes and trivia you share with all of us. You can find more information about the award at http://bit.ly/MDBEIb. Thank you and congratulations! Thanks you so much for the award. I truly appreciate it. I always refrigeratoe my mustard, too. I like your recipe. Buzzed.